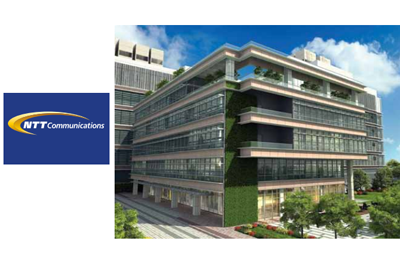 NTT Communications opened phase one of a new Hong Kong Financial Data Centre (FDC™). The company said over 80% of phase one capacity in the new data centre was reserved prior to launch. The Tier IV ready facility boasts a100% uptime service level, unrivalled security, connection to NTT's ultra-low latency networks and close proximity to the data centre operations of regional exchanges. FDC also features a continuous cooling system, continuous rating generators and compartmentalized infrastructure design. Once complete, the facility will offer over 70,000 m2 of gross floor area and over 6,000 racks in total. The FDC houses the landing station of the new Asia Submarine-cable Express (ASE) which connects key financial hubs in Asia with the shortest possible route that boasts industry leading network latency of less than 43 milliseconds from Hong Kong to Tokyo and less than 64 milliseconds from Singapore to Tokyo. Furthermore, the FDC is collocated with NTT Communications’ global network node that connects to Europe and North America. The Hong Kong Government is committed to promoting the development of high-tier data centres. Today the Tseung Kwan O Industrial Estate houses a cluster of 12 high-tier data centres, occupying a total of 20 hectares of land and the Hong Kong Financial Data Centre of NTT is the latest addition to this impressive data centre family. These centres with stringent performance requirements provide valuable support to the business operations and growth of both our local and international enterprises," stated Ms. Susie Ho Shuk-yee, JP, Permanent Secretary for Commerce and Economic Development, Hong Kong. NextiraOne, a European multinational company based in Paris that designs, installs, maintains and supports business communications services for over 60,000 private and public sector organizations, selected Equinix’s LD5 International Business Exchange(IBX) as the primary data center to support the roll-out of its new modular private cloud infrastructure portfolio. The new Equinix LD5 facility is located on same campus in Slough, England, as its LD4 data center. The Equinix campus is linked by more than 1,000 diverse dark fiber links into Central London with global access to more than 900 network providers. The location (just outside of London) provides access to transatlantic cables for low-latency connections to New York. “The past twelve months have seen a significant increase in the number of businesses consolidating IT legacy systems, which have proven costly to update and slowed commercial growth. By locating in Equinix, we will not only be able to deliver our services to customers but also have direct access to a prospective client base of cloud driven customers and partners through Equinix Marketplace portal," stated Geraint Davies, head of business development, Data Centers, NextiraOne. Separately, Equinix received an award from the European Commission Joint Research Center that oversees the EU Code of Conduct (CoC) on Data Center Energy Efficiency for the company's new International Business Exchange (IBX) data center in Amsterdam (AM3). The new AM3 facility is build to LEED Gold standards. A new Okinawa Open Laboratory has been established by NTT Communications, NEC and IIGA Co. with a mission to develop software-defined networking (SDN) and cloud computing technologies. The laboratory, which is located in Okinawa IT Shinryo Park in Okinawa Prefecture, will invite engineers from private companies and academic organizations in Japan and other countries to work at the facility on the development of SDN and cloud-computing technologies and verification for commercial use. The three companies set up the Okinawa Open Laboratory in cooperation with Okinawa Prefecture, which aims to become a leading ICT base in Asia. Yukio Ito, Senior Vice President and concurrently Director of Service Infrastructure at NTT Com, has been named Director of the new facility.